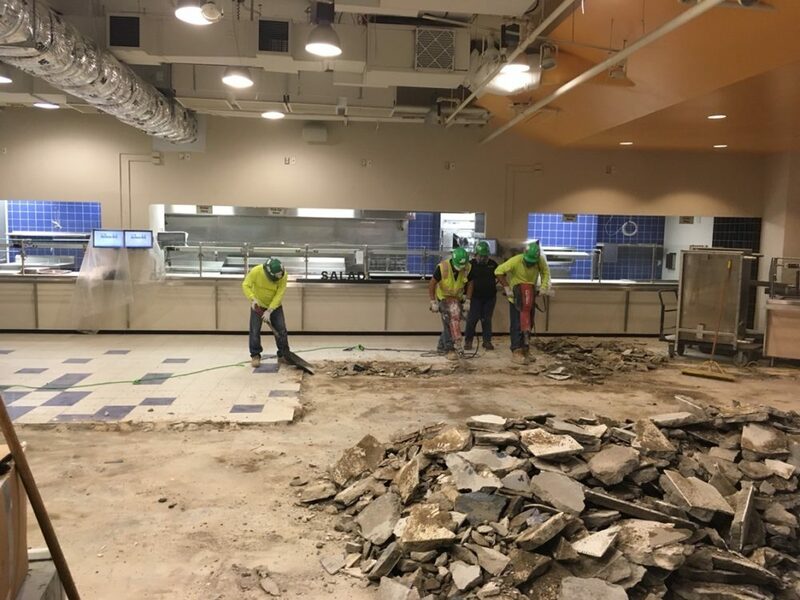 Atrium, lobby, and café demolition included partitions, wall finishes, interior windows, featured screen wall in first floor lobby, millwork, floor finishes, ceilings, bulkheads, planters, and planter walls. We also removed structural beams, stairs, plus saw cut and removed slab on grade. 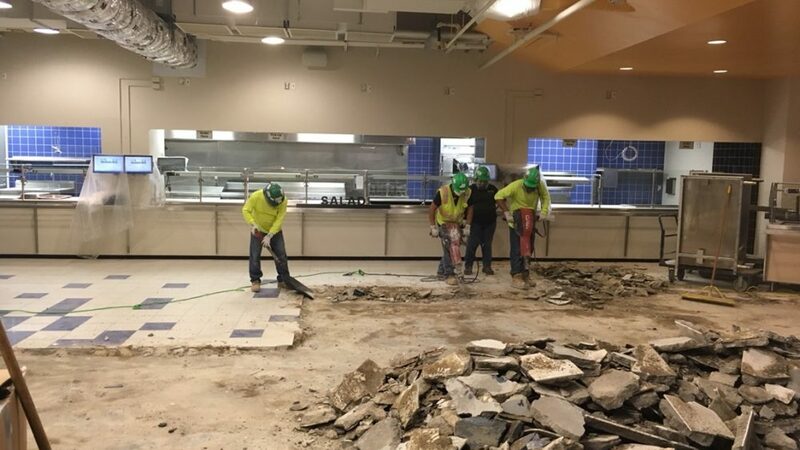 Café scope consisted of full demolition, including removal of kitchen equipment, removal of concrete and beams around elevators, as well as cutting new openings for elevators. This was a LEED Silver project.